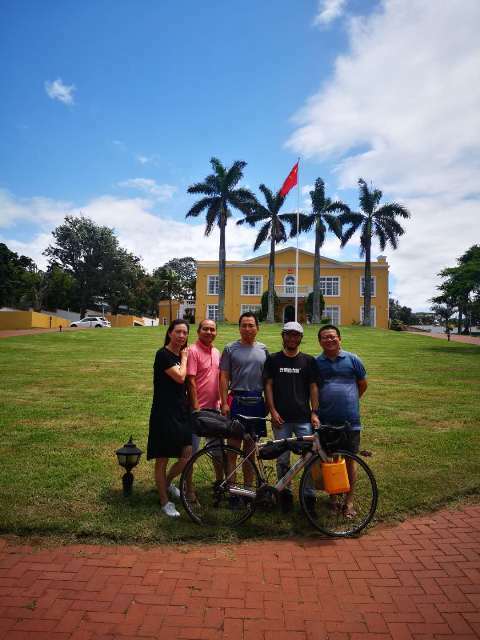 On January 6, 2019, Mr Chen Zhe, a young Chinese cyclist on an around-the-world ride, stopped over at the Chinese Consulate General in Durban. Consul General Fei Mingxing welcomed Mr Chen and wished him a pleasant and successful ride. Mr Chen started his global cycling trip from Xi'an in April 2018. His global ride is expected to complete in three years.